Chinese Rights Lawyer’s Travel Ban Linked to Defense of Tortured Colleague - Integration Through Media ....! 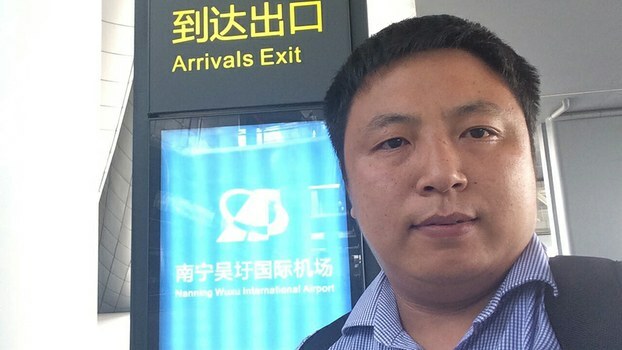 Chen Jiangang was prevented from boarding a flight to Seattle by border guards at Beijing’s International Airport on Monday. He was en route to take up a Humphrey Fellowship funded by the U.S. State Department. “We are disturbed by reports that Chinese authorities prevented prominent human rights lawyer Chen Jiangang from leaving China to participate in a State Department-sponsored exchange program,” spokeswoman Morgan Ortagus said via Twitter. “We urge China to respect Chen’s freedom of movement and to view lawyers and rights defenders as partners in strengthening Chinese society through development of rule of law,” she said. Chen had been chosen to study English as part of the Humphrey Fellowship Program that was first announced by then-President Jimmy Carter in 1978 to finance studies at U.S. universities and institutions embodying the values of “democracy, social justice and a desire to assist the developing nations of the world,” according to the program’s official website. Chen, his wife, and the couple’s two children were all added to an earlier exit ban “blacklist” in 2017. The family was also detained and forcibly escorted back home from a vacation in the southwestern province of Yunnan in the same year. “China’s relevant departments are … handling the exit-entry affairs of the relevant Chinese national in accordance with the law,” Lu told a regular news briefing in Beijing.